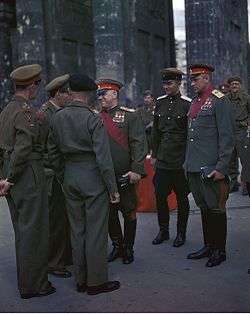 The first five marshals of the Soviet Union from left to right: Tukhachevsky, Budyonny, Voroshilov, Blyukher and Yegorov. Marshal of the Soviet Union (Russian: Маршал Советского Союза Russian pronunciation: [ˈmarʂəl sɐˈvʲɛtskəvə sɐˈjuzə]) was the highest military rank of the Soviet Union (while the supreme rank of Generalissimus of the Soviet Union was proposed for Joseph Stalin after the Second World War, it was never officially approved). The rank of Marshal of the Soviet Union was created in 1935 and abolished in 1991. Forty-one people held the rank of Marshal of the Soviet Union. The equivalent naval rank was until 1955 Admiral of the Fleet and from 1955 Admiral of the Fleet of the Soviet Union. Both ranks were comparable to NATO rank codes OF10, and to the five-star rank in anglophone armed forces. 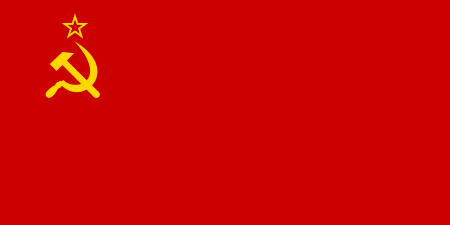 The military rank of Marshal of the Soviet Union was established by a decree of the Soviet Cabinet, the Council of People's Commissars (Sovnarkom), on September 22, 1935. On November 20, the rank was conferred on five people: People's Commissar of Defence and veteran Bolshevik Kliment Voroshilov, Chief of the General Staff of the Red Army Alexander Ilyich Yegorov, and three senior commanders, Vasily Blyukher, Semyon Budyonny, and Mikhail Tukhachevsky. 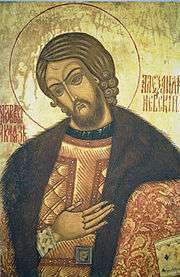 Of these, Blyukher, Tukhachevsky and Yegorov were executed during Stalin's Great Purge of 1937–38. On May 7, 1940, three new Marshals were appointed: the new People's Commissar of Defence, Semyon Timoshenko, Boris Shaposhnikov, and Grigory Kulik. During World War II, Kulik was demoted for incompetence, and the rank of Marshal of the Soviet Union was given to a number of military commanders who earned it on merit. These included Georgy Zhukov, Ivan Konev and Konstantin Rokossovsky to name a few. In 1943, Stalin himself was made a Marshal of the Soviet Union, and in 1945, he was joined by his intelligence and police chief Lavrenti Beria. These non-military Marshals were joined in 1947 by politician Nikolai Bulganin. Two Marshals were executed in postwar purges: Kulik in 1950 and Beria in 1953, following Stalin's death. Thereafter the rank was awarded only to professional soldiers, with the exception of Leonid Brezhnev, who made himself a Marshal in 1976, and Ustinov, who was prominent in the arms industry and was appointed Defence Minister in July 1976. The last Marshal of the Soviet Union was Dmitry Yazov, appointed in 1990, who was imprisoned after the failed coup against Mikhail Gorbachev in 1991. Marshal Sergei Akhromeev committed suicide in 1991 on the fall of the Soviet Union. The Marshals fell into three generational groups. Those who had gained their reputations during the Russian Civil War. These included both those who were purged in 1937–38 (Blyukher, Tukhachevsky and Yegorov), and those who held high commands in the early years of World War II (Budyonny, Kulik, Shaposhnikov, Timoshenko and Voroshilov). All of the latter except Shaposhnikov and Timoshenko proved out-of-step with modern warfare and were removed from commanding positions. Those who made their reputations in World War II and assumed high commands in the latter part of the war. 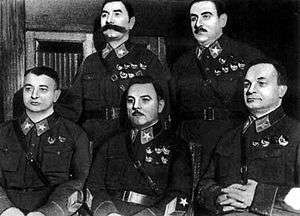 These included Zhukov, Vasilievsky, Konev, Rokossovsky, Malinovsky, Tolbukhin and Govorov. Those who assumed high command in the Cold War era. All of these were officers in World War II, but their higher commands were held in the Warsaw Pact or as Soviet Defence Ministers. These included Grechko, Yakubovsky, Kulikov, Ogarkov, Akhromeev, and Yazov. All Marshals in the third category had been officers in World War II, except Brezhnev, who had been a military commissar, and Ustinov, who had been an arms factory manager. Even Yazov, who was 20 when the war ended, had been a platoon commander. 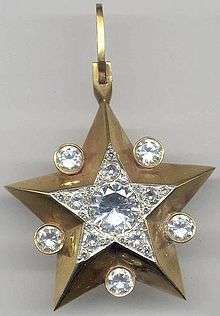 The rank was abolished with the dissolution of the Soviet Union in December 1991. It was succeeded in the new Russia by the rank of Marshal of the Russian Federation, which has been held by only one person, Marshal Igor Sergeyev, who was Russian Defence Minister from 1997 to 2001. Note: All Marshals of the Soviet Union, with the exception of Non-Military Marshals had at least started their military careers in the Army. The Service Arms listed are the services they served in during their respective tenures as Marshals of the Soviet Union.